Missed field goals, blown kickoff coverage, and poor punts. Those were some of the areas that Georgia struggled in during their 33-24 victory over North Carolina in the season opener. 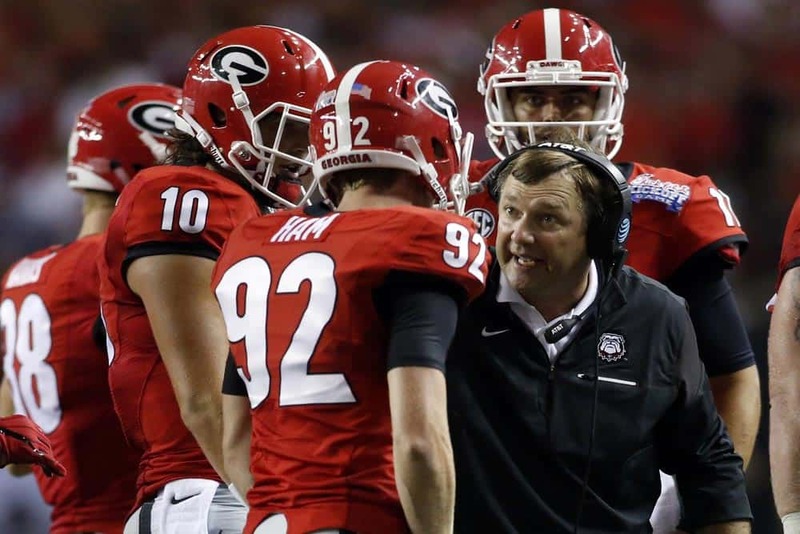 Those are some of head coach Kirby Smart’s biggest concerns, and he isn’t afraid to voice them either. In the Bulldogs opening win, they let North Carolina take control of early second half momentum, as Tar Heels running back T.J. Logan had a 95-yard kickoff return to begin the third quarter. After the game, Smart was happy, but stated that kickoff coverage was the team’s primary focus heading into the second week. On Monday during his address to reporters, he stated the need for improvement yet again. “Special teams, number one (in terms of areas Georgia wants to improve), especially our coverage units,” Smart said. Georgia also struggled in terms of positive production from their place kickers, beginning with both William Ham and Rodrigo Blankenship. Both booted their kicks in front of the goal line. In addition, Ham failed to convert on his first field goal attempt of his collegiate career. Smart, while citing need for improvements, seems like it’ll work itself out. He attributes the struggles to overuse in practice, in addition to the lack of experience. Georgia also is struggling to solidify its starting punter. Freshman Marshall Long assumed the role for the season opener, but as he only averaged 39 yards per punt, the Bulldogs are looking for greater production. The other option is junior Brice Ramsey, who took over the duties last season. Georgia’s home opener against Nicholls State could serve as another opportunity for the two to audition in a situation that carries less pressure. Smart said Monday that the competition at place kicker isn’t solidified, and it could be awhile until that is the case. One can only assume the case is the same at punter as well. Nonetheless, Smart seems to place a high level of importance on special teams, as success in that area could determine whether the Bulldogs have the desired success in 2016. “We’re not settled on one guy,” Smart said. “We’ll get the guy that does the best job this week, when we do kick off (or punt). Whichever one of them earns the job, it’ll be a competition until somebody wins it. It’s not settled.